Back in the day, I had a monster guitar rig. Well, I thought it was monstrous. Much of my philosophy on tone and style of play came from these guys. But Petrucci playing was, hands down, the reason I wanted to play guitar. My first real amp was a Marshall Valvestate 2X12 combo. 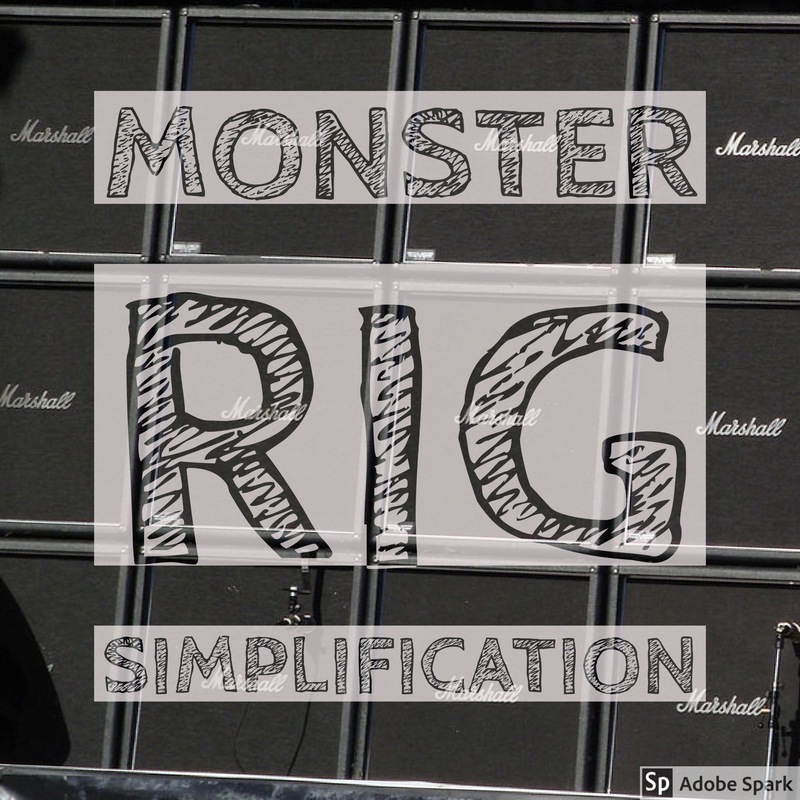 I needed versatility in tone, but couldn’t afford a Triaxis/Simul 2:90 rig like Johnny P. Plus, I think all players go through some trial and error in the beginning before their style and ability reveals the kind of gear they should use. I traded the Marshall in for an ADA MP-2 with a MicroTube 100 power amp. Later, I added an Alesis MidiVerb for reverbs and delays. Other units swapped in and out, but that was my core sound for about twenty years. A few months ago, I sold it all for one pedal, and I’m very glad I did. There are a lot of haters against Line 6 in the guitarist community. And I get it. Does my HD500X sound exactly like a Marshall stack? No, not exactly. Does it have the features and options of an AxeFX or a Kemper? No. Does it come darn close for $500? All day every day. Still, I firmly believe that I could plug into that old Valvestate today and still sound like me. Amps and pedals are just tools. Bottom line: I sound great, and I can carry my rig, guitar, and cable bag in one hand. Can’t beat that. Do I miss tha Monster? Yeah, occasionally. But the pros outweigh the cons. Here’s a video of me leading at my church from earlier this year. Judge for yourself.